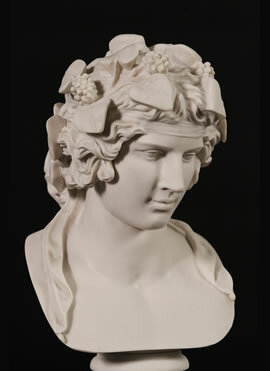 Marble sculptures, in recent times, are mostly made from resins. Resins work but they are vastly inferior to high density marble and can, over time, deteriorate. Resin compounds have several limitations and they do not offer the weight and feel of marble. Our sculptures are produced by a unique and proprietary dry casting process. Over 90% of the finished sculpture is natural crushed Carrara marble, which gives it a look and feel of solid natural marble. All sculptures are finished by hand to ensure the finest quality that cannot be compared to any inferior resin substitutes. 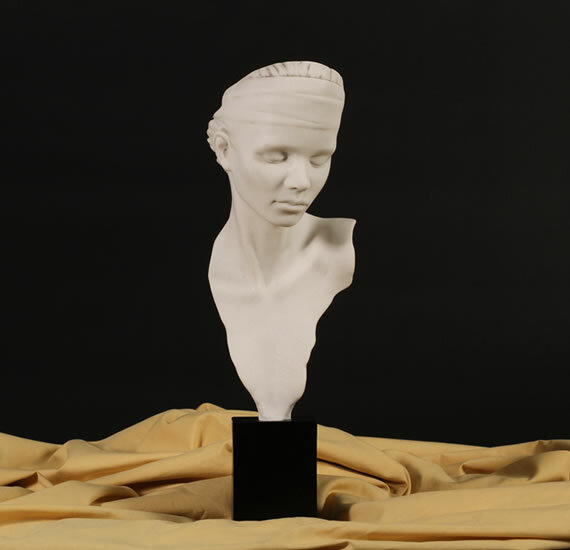 Authentic to the eye, smooth and cold to the touch, with fine crisp detail, exactly like an original our marble sculptures are the best quality you can buy. The marble used is white Carrara marble from an Italian quarry in Carrara. It is actually ground to a powder so it can be reshaped with incredible detail and still retains the wonderful marble characteristics. 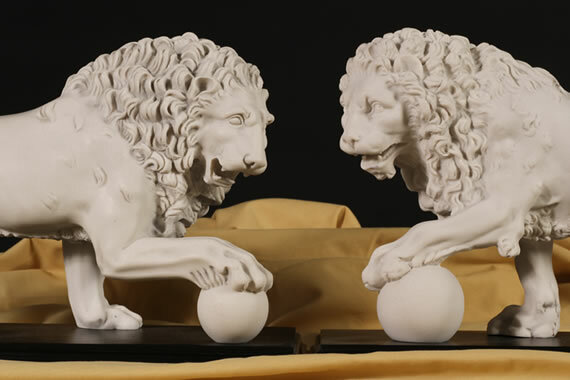 All our marble statues have 90% Carrara marble in them, of course the marble powder needs to stick together and 10% of the sculpture is a glue or resin compound that when set creates a finely detailed marble sculpture that is then hand finished to perfection. The characteristics and workability of marble is still there so it can be finely sanded to remove imperfections. It looks and feels like hand carved marble (today that would of course be impractical in terms of cost!) and it is impossible to tell the difference. A Cooper Woodhouse Carrara marble statue is also stronger than marble. The marble powder and resin are mixed and placed into a mould of the original sculpture. Because the powder is so fine the smallest details can be reproduced using this method. Regular cleaning involves no more than a feather duster or a clean cloth. Bonded Carrara marble is far less porous than pure marble so you will find that is stains less easily and is more robust and will take a good wash with washing up liquid and water to remove any stubborn stains. If this does not work you can use a fine wet and dry sandpaper to remove the top layer but be careful how vigorously you rub!